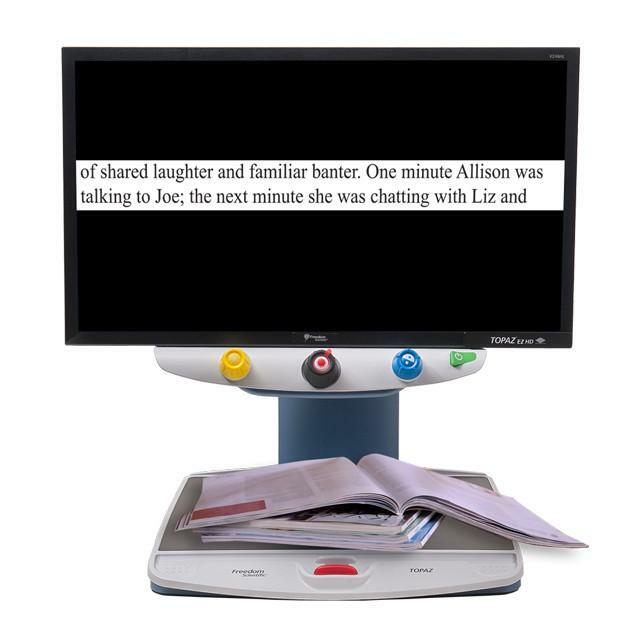 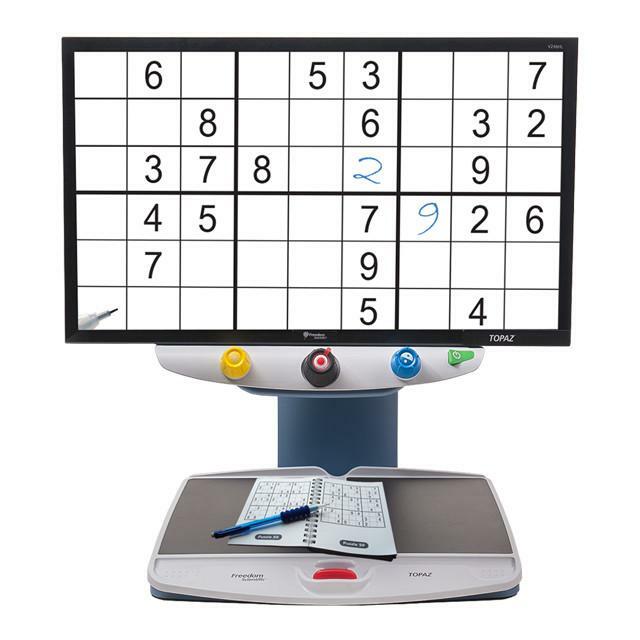 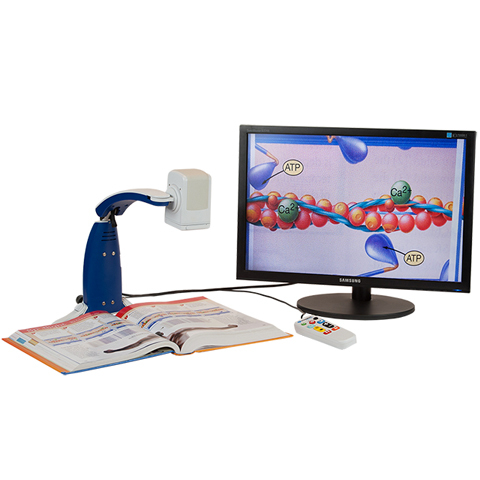 Desktop magnifiers, or CCTV’s (closed circuit televisions), are ideal for low vision users. 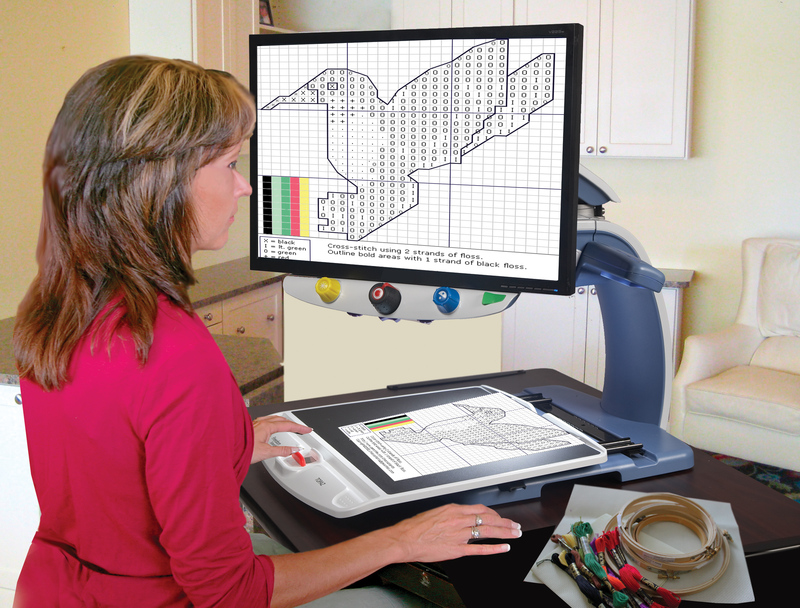 They use a camera to project a magnified image onto a monitor. 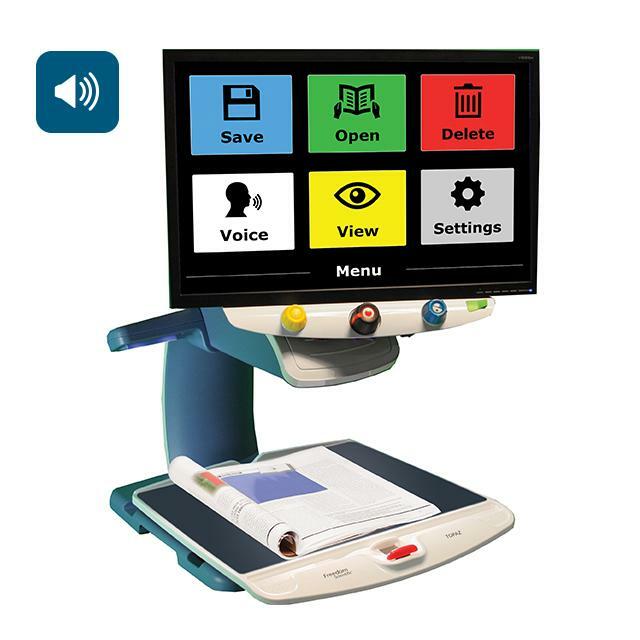 The cameras are equipped with a zooming technology (either manual or automatic) that allows the user to set specific magnification and focus between the item being viewed and the videos monitor. 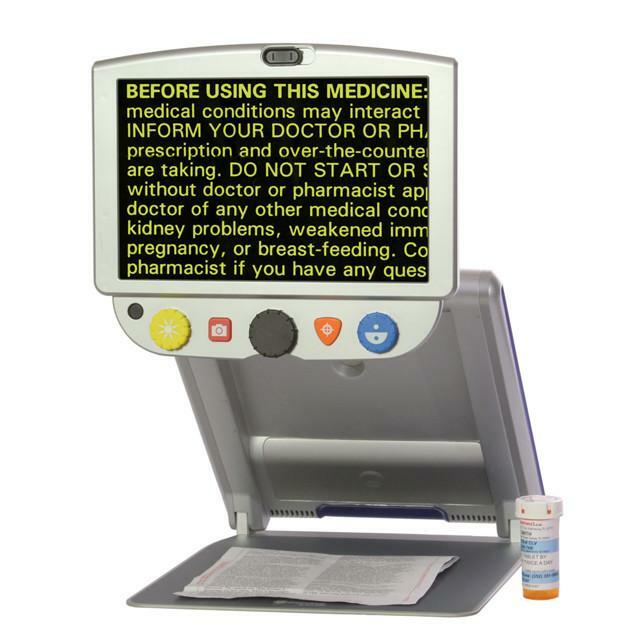 Simply place the document or item under the camera and move it up and down the page. 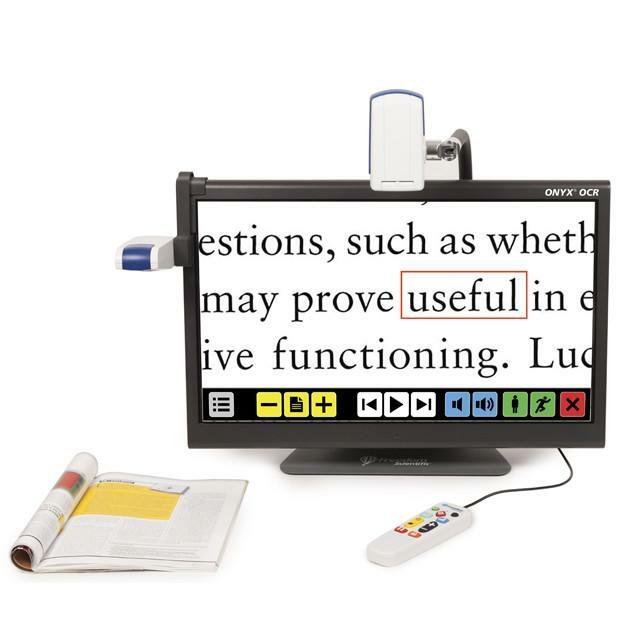 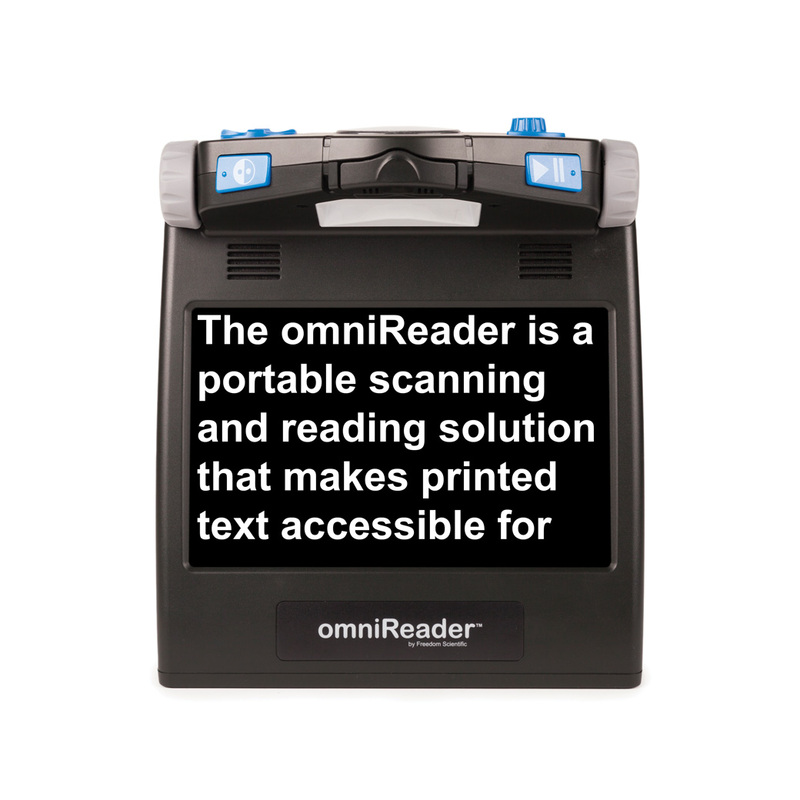 Some models, like the Topaz, also include OCR (Optical Character Recognition) which displays the document on a touchscreen and the OCR technology processes the text to read it aloud. 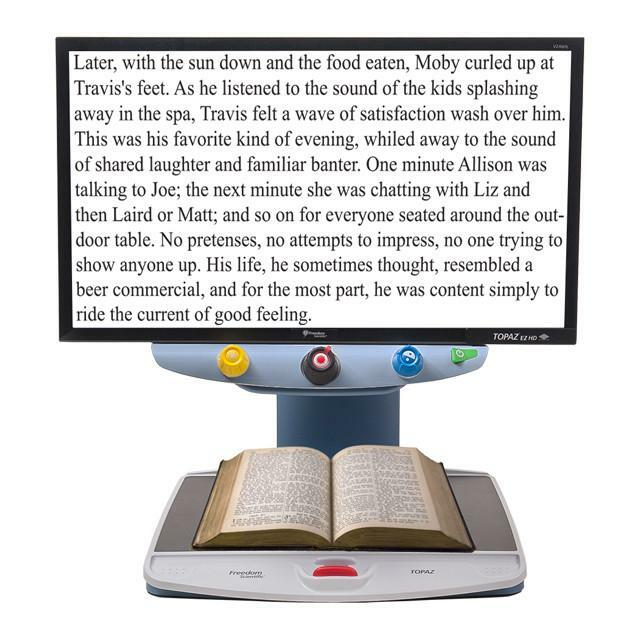 Desktop magnifiers are ideal for reading, writing, viewing photographs and much more! 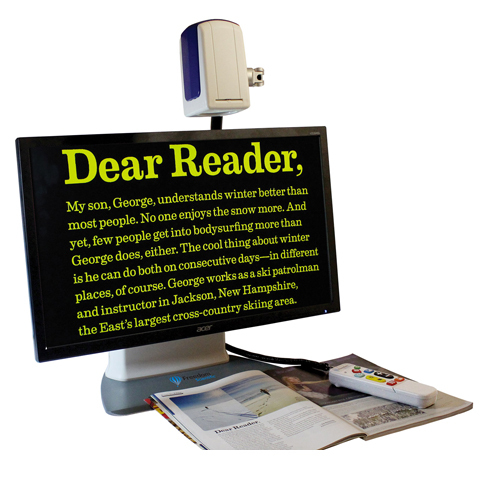 Below are some of our powerful desktop magnifiers.